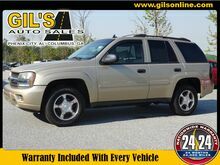 With features like dual climate control and anti-lock brakes, this 2004 Chevrolet TrailBlazer LT is a must-have ride. It comes with a 6 Cylinder engine. This one's on the market for $11,995. This SUV scored a crash test safety rating of 4 out of 5 stars. Drivers love the charming red exterior with a gray interior. Don't wait until it is too late! Call today to schedule an appointment. Buckle up for the ride of a lifetime! 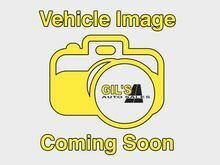 This 2008 Chevrolet TrailBlazer LT includes a top-notch rear air conditioning, dual climate control, stability control, traction control, Bose sound system, anti-lock brakes, dual airbags, side air bag system, and airbag deactivation. It comes with a 6 Cylinder engine. We're offering a great deal on this one at $12,995. Drive away with an impeccable 4-star crash test rating and prepare yourself for any situation. 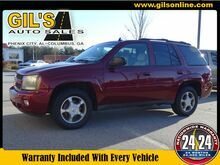 Complete with a sleek maroon exterior and a gray interior, this vehicle is in high demand. You'll enjoy crystal-clear sound with features like Bose sound system. Don't wait on this one. Schedule a test drive today! 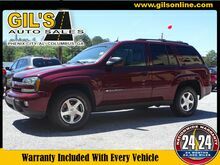 Get ready to go for a ride in this 2007 Chevrolet TrailBlazer LS, which comes equipped with a dual climate control, stability control, traction control, anti-lock brakes, dual airbags, and airbag deactivation. It has a 6 Cylinder engine. We've got it for $12,995. Don't skimp on safety. Rest easy with a 4 out of 5 star crash test rating. Flaunting a charming gold exterior and a gray interior, this car is a sight to see from the inside out. Make your move before it's too late schedule a test drive today!